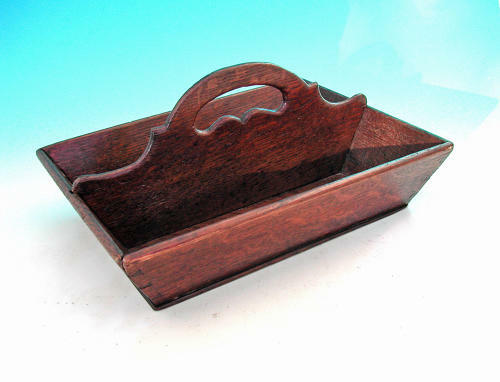 Antique 18thc Oak Shaped Cutlery Tray. English. C1770-90. A fine example of a late 18thc Oak Cutlery Tray, complete with a nicely shaped central divider and handle....excellent colour and in very good condition for its age and the years of use..